Still many questions (as always), but at least you've made progress. I still can't understand why the person who told you about the ax attack wouldn't give you more information, but at least some nice person hunted through the microfilm for you! Thanks for sharing. I agree with Sonja Hunter, not sure why the person who first told you of this story was reluctant to share more. One reason did occur to me though. . . perhaps she was somehow related to the attacker and his family(??). A thought. Good questions about the woman who refused to share the source with me. She wasn't related to the attacker, she was from a different PEER family in Ontario - one that is not connected to mine. She stumbled on the newspaper story while researching HER ancestor. I always got the impression she didn't want to share HER work/time/research. She kept dropping hints that I needed to hunt for it on my own. It was weird because I shared everything I had on every PEER I had found. I am so happy you were finally able to get an answer to this question. 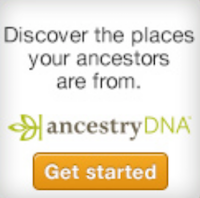 It gives me hope that I will find answers to all mine as well. I am curious how Marsha was able to find this. I am always amazed when people find things I searched for and could not find. 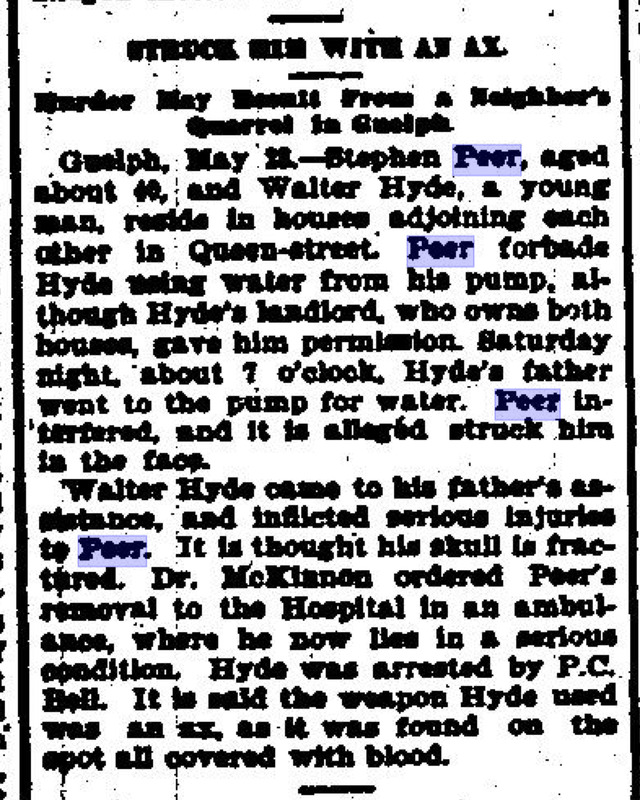 On your first posting, I wondered if the distant newspaper item had perhaps misidentified a Walter , who some years earlier had committed strange offenses in Guelph (ending up in a lunatic asylum). Nineteenth century Guelph jail registers are available at AO (maybe also Wellington County Archives?). Thanks Brenda - I did write to Wellington Co. Archives to ask if they had those records but no response yet. Mind you AO is closer and an easier trip for me - thanks for the info! I've found there are information hoarders and information sharers. Thank goodness for sharers! It always surprises me what you find in old newspapers. They are a goldmine! I'm really enjoying seeing this story unravel. I hope you find more answers! And, I'm interested in finding out more about ambulances during this time period. Very interesting!